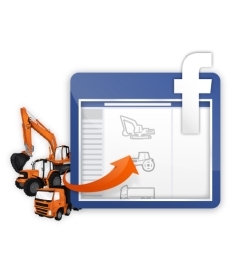 The Facebook app from Mascus allows dealers to display their stock of used equipment and trucks directly on their Facebook company page without extra work! 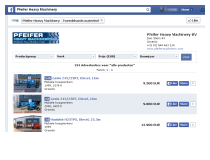 Automatic transfer of your ads to your Facebook webshop! The installation of the webshop on your Facebook page is straightforward and can easily be performed by any Facebook page administrator. The app is automatically updated from Mascus, meaning that all the ads you are placing on Mascus are automatically redirected to your Facebook company page as well. 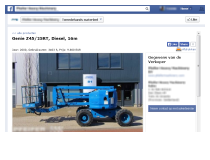 With this app, dealers offer their Facebook fans additional content, they also gain in visibility on the platform as people can share and like any machines and trucks displayed through the app.